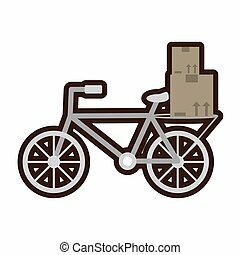 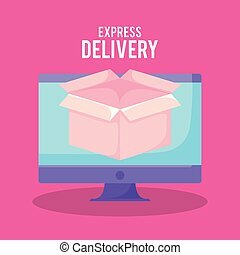 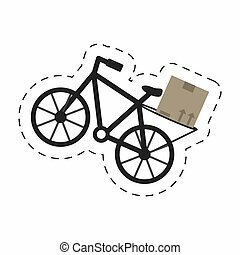 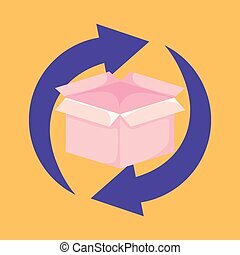 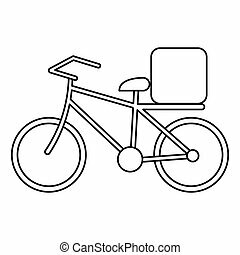 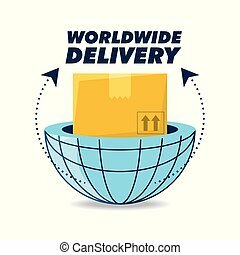 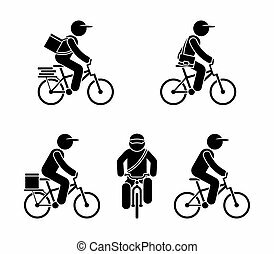 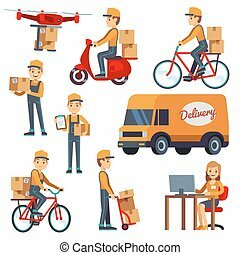 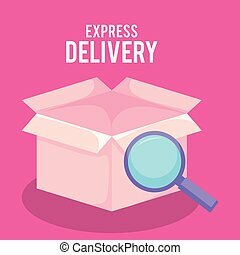 Delivery bicycle box service vector illustration eps 10. 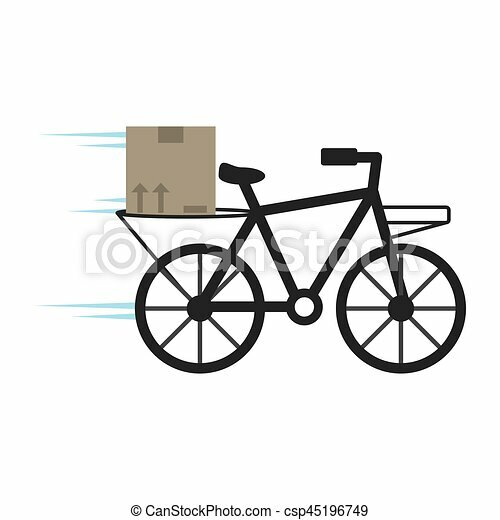 Cartoon young man riding a bicycle with delivery box on it. 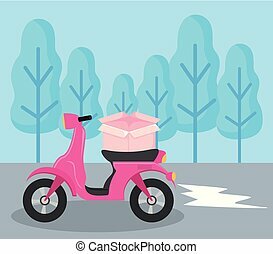 Cityscape background. 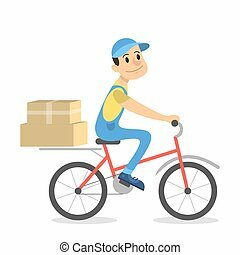 Courier bicycle delivery man with parcel box on the back. 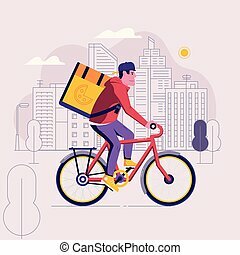 Ecological city bike delivering service illustration with modern cyclist carrying package. 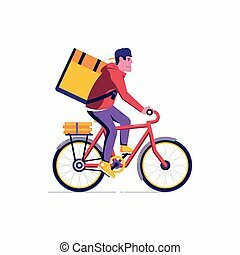 Food delivery boy. 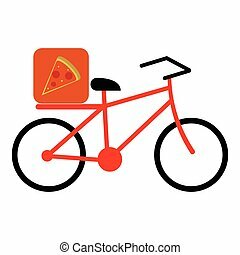 Pizza bicycle delivery man with parcel box on the back. 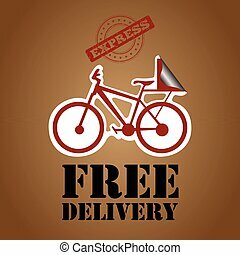 Ecological city bike food delivering service concept with courier carrying package on modern city background. 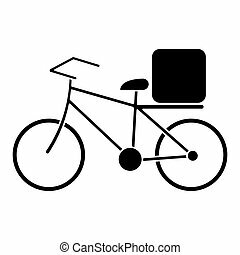 Food delivery cyclist. 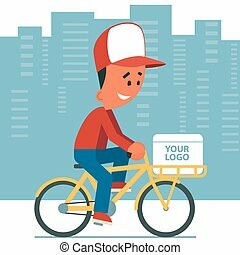 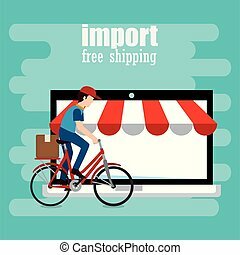 Realistic vector bicycle with carton box and basket on white background. 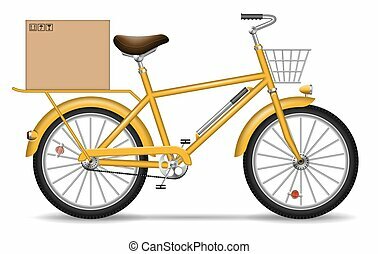 Isolated yellow delivery bike side view. 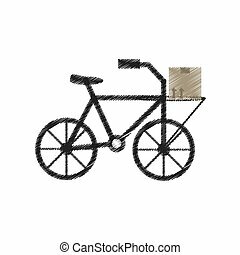 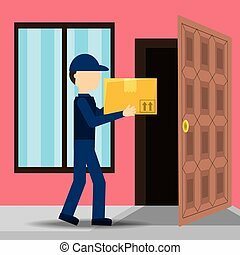 Delivery man on bicycle with parcels on white background.